A perfect get away from the chaos and mayhem of the modern world. Spend some 'Me time' with your family/friends and loved ones, as you make your way into the lap of nature in the small hamlet of Gushaini, in the Tirthan Valley of Himachal Pradesh. A stay at the beautiful river side Raju Bharti Guest House will surely help you make feel rejuvenated, and make you understand the true feeling of living in the lap of nature.. Sing with the birds, talk to the cool mountain breeze, and watch the time fly by, as you turn the pages of your favourite book on the banks of the Tirthan. Think of Gushaini, and you start visualizing a serpentine road cutting across a sleepy little hamlet. 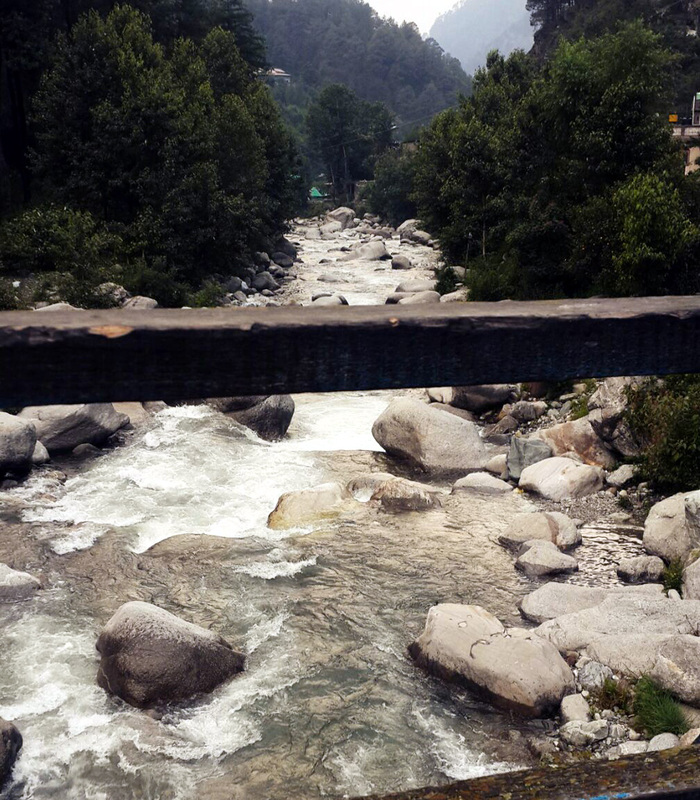 You start visualizing walking across the gushing Tirthan River into the realms of fantasy. You start visualizing standing in the middle of an old wooden bridge, mesmerized with the most beautiful sunset, and watching the wooden houses fade away into the oblivion. That's what Gushaini is all about. It kills you softly with its old world charm. The hamlet is so tiny, you can cross it on foot, and never be far away from the sound of the Tirthan tantalizing your conscience. 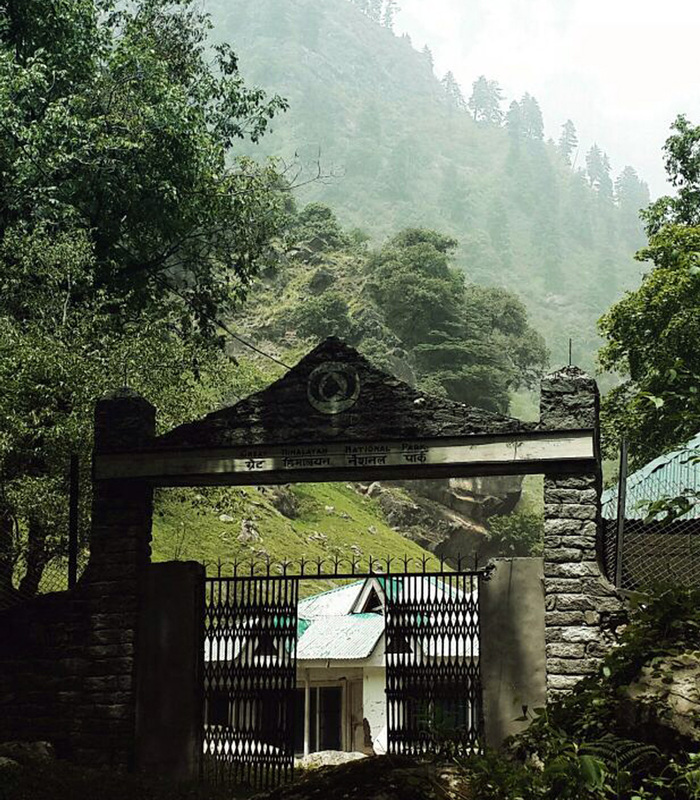 The village of Gushaini happens to be the entry point to the Great Himalayan National Park trek. It takes about 3 hours to reach the gates of the GHNP. Arrive at the home stay. Welcome drink upon arrival. Relax and soak in the breathtaking aura of your charming abode and its surroundings. Have a sumptuous lunch and put on your trekking shoes. A local guide will take you on a short hike to a beautiful waterfall, located at a distance of close to 3 kms. It is a moderate climb, taking you through a beautiful dense forest. The water is cold, and falls directly from a glacier located further up. Enjoy the water and the serene surroundings. A great place for some unforgettable clicks. Return to the home stay by evening. Time for some evening banters and chit chat with the owners. Listen to some interesting stories, as you sign off the day with a delicious dinner. Wake up amidst the soothing sounds of nature that have the ability to even put Beethoven's Symphony no 5 to shame. Have a hearty breakfast along the riverside, and put on your trekking shoes as you start on what is going to be an eventful day. 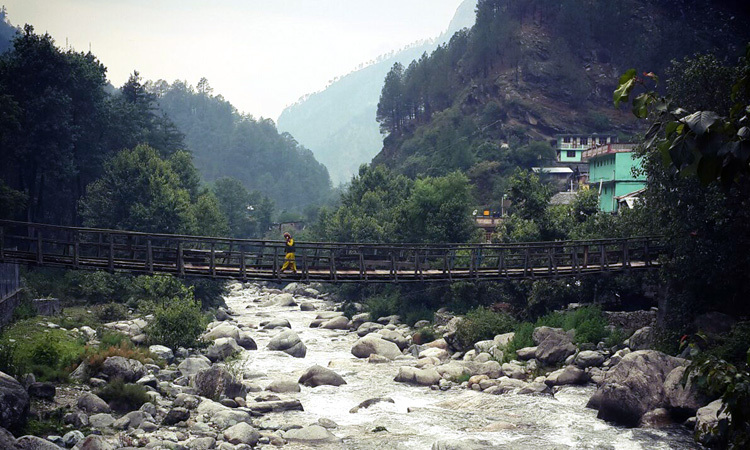 The trek commences near the iron bridge at Gushaini. 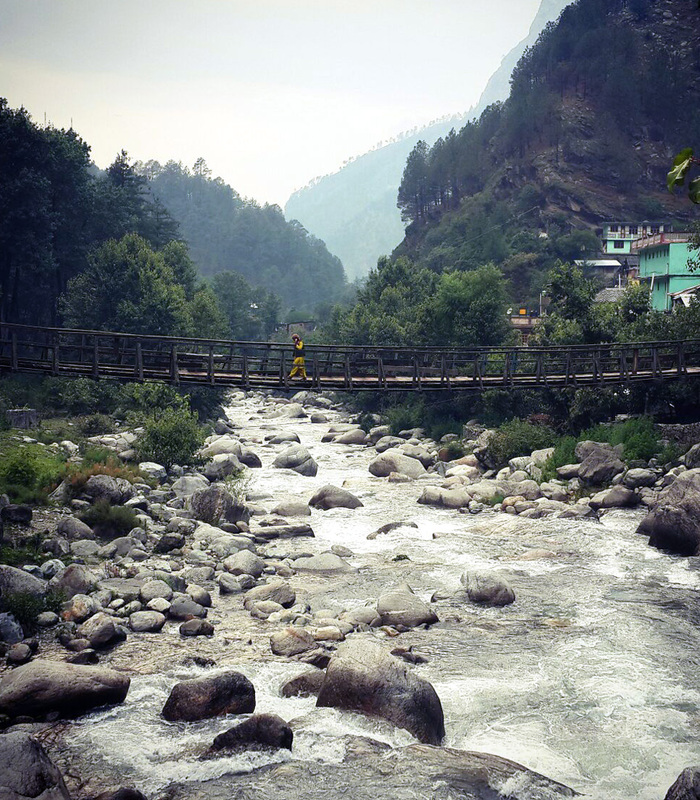 You walk across the gushing Tirthan river on an easy to moderate trail through the park's ecozone. One hour into the trek, and you cross Ropa, the first village falling on the way. A steaming cup of herbal tea from the little eateries will surely go a long way in re energising your body. From Ropa, the trail gets quiter and you start getting a feel of gradually reseeding into the lap of wilderness. 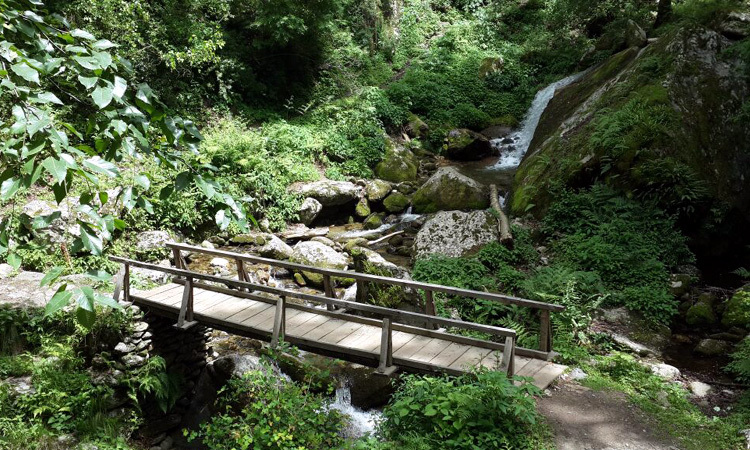 You cross some small wooden bridges, walk through the silent green trail, and reach the second village on the way, Kharungcha. 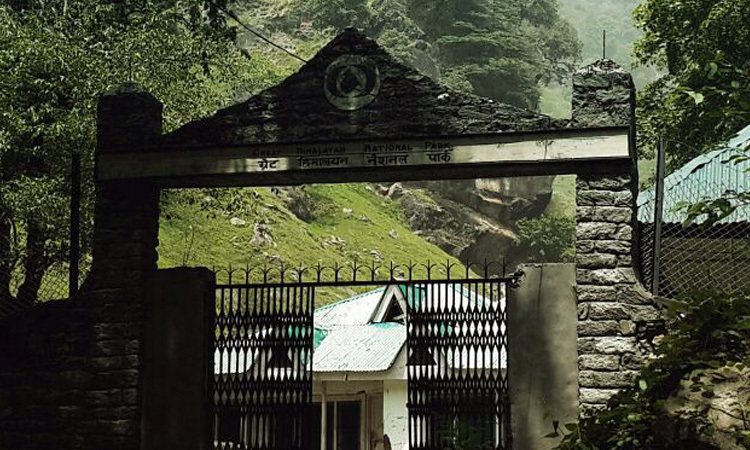 Fifteen minutes further, you cross a small waterfall on your left, and finally reach the park's entrance gate after a 3 hours trek from Gushaini. Have your delicious packed lunch at the gate. You need a permit from the Forest Office to venture into the national park from this point. Click here for the GHNP treks. By the time you return, it will be close to sunset. Your legs would be aching, but I strongly recommend you to stretch a lithe bit more to view one of most mesmerizing sunset. 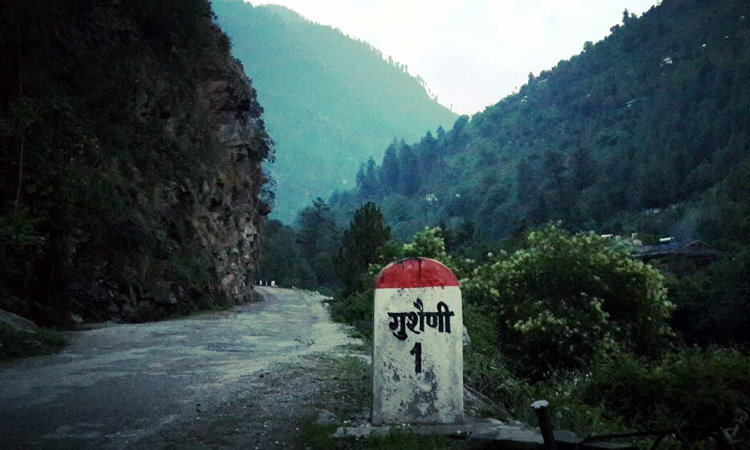 Take a left turn from the crossing when you reach Gushaini. Walk a little bit further, and then get down towards the river side. 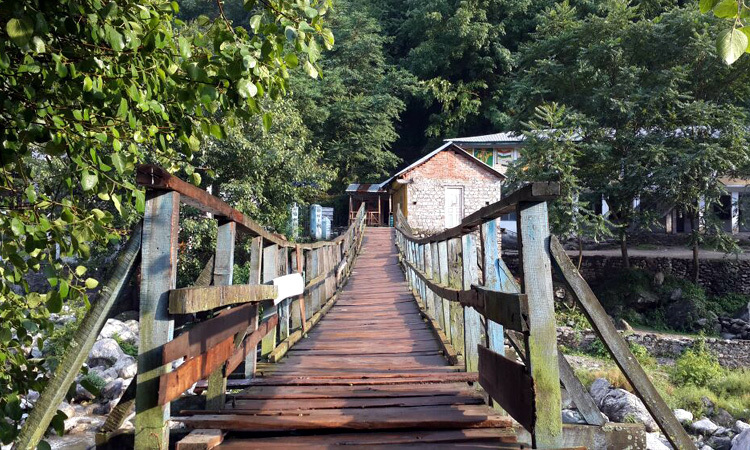 You will come across a charming old wooden bridge. Stand in the middle, sigh at the guggling Tirthan underneath, and watch the sun go down, painting the little hamlet with a honey glaze. Evening bonfire and dinner at the home stay. 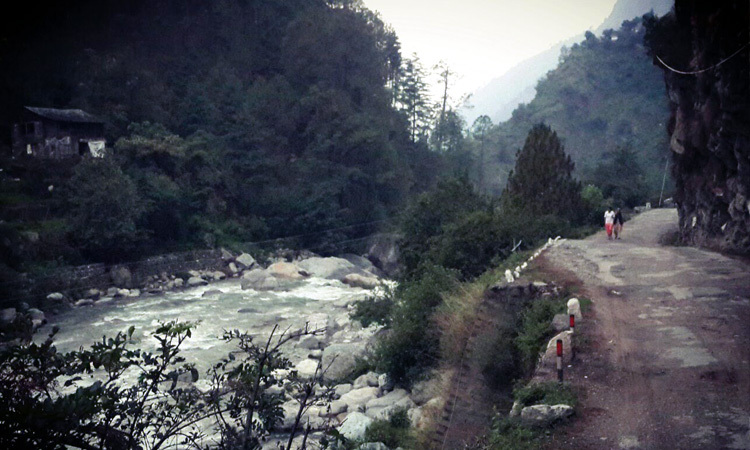 Have an early breakfast, and start your drive to Jalori Pass. 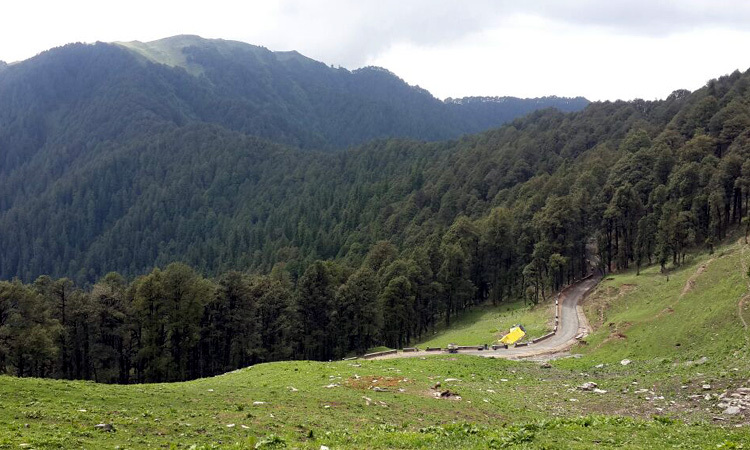 The 30 kms drive passes through some scenic little hamlets like Jibbhi and Shoja. Watch for the gradual change in the scenery, as you gain an altitude from around 5000ft to 11,000ft in a matter of 90 min. 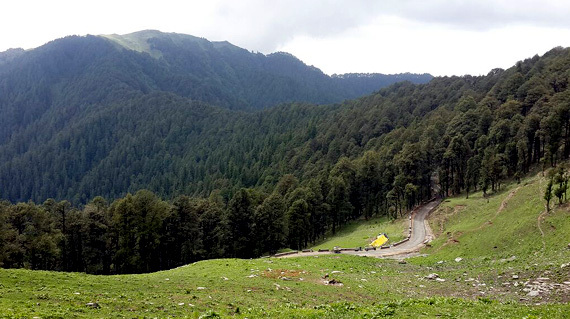 Jalori Pass (10,800 ft) connects the Kullu Valley to Shimla Valley. There are some tea shops which serve snacks and hot/cold drinks, catering mainly to veichles plying between the Beas and Satluj Valleys. 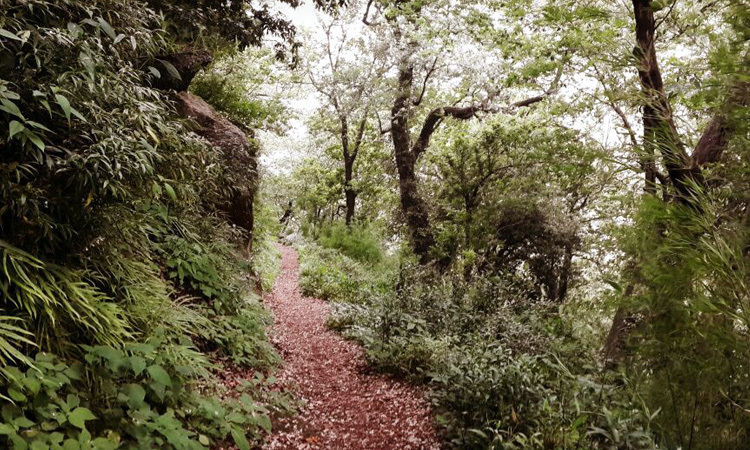 The trail leading to Serolsar Lake branches off from the Jalori temple nearby. 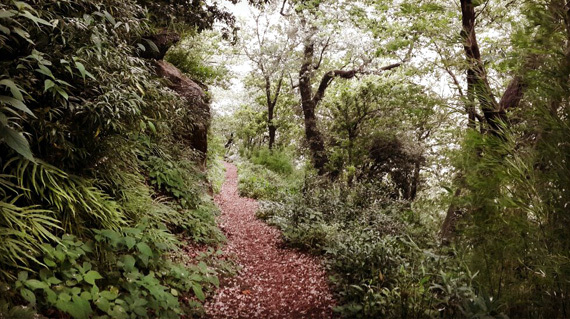 You will just fall in love with the easy trek to the lake passing through moss covered oak and rhododendron forest. Enjoy the beauty of the trek at your own pace. You should be able to reach the shores of the pristine lake in about two and a half hours. The first look of the majestic lake is bound to leave you spell bounded. There is a sacred temple of goddess 'Buddhi Nagin' on one corner. 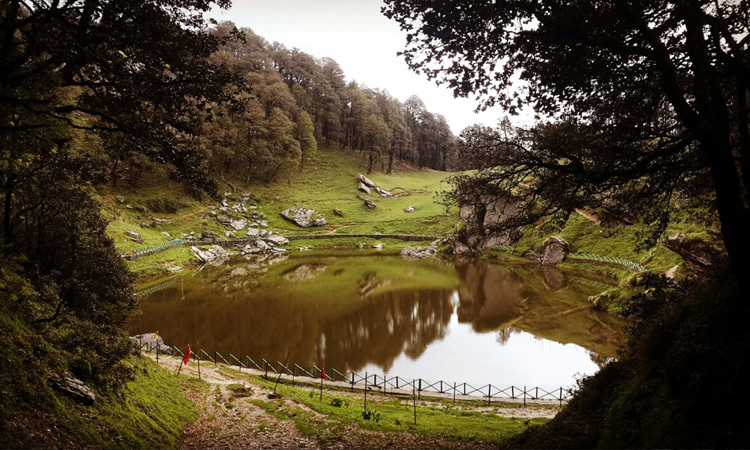 It is believed that the Goddess Buddhi Nagin resides inside the lake, and is mother to 60 'Nag Devtas' of Himachal. Accordig to some legends, Pandavas are believed to have visited the Serolsar Lake during their exile period, and planted rice here. Have your packed lunch in the heavenly surroundings of the lake. Explore the beautiful setting and take an auspicious circle of the divine lake. You go back to Jalori Pass via the same route. Return to Raju Bharti Guest House by evening. Enjoy your last evening with a river side bonfire. Have a delicious dinner and a well deserving great sleep. The breakfast table awaits you again. Time to say a final good bye to the wonderful hosts. Like they say, �All wonderful things, must come to an end'!! Leave Gushaini with the memories of a lifetime.. 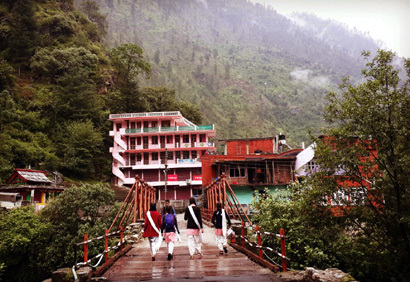 Connected to the outside world by a puly bridge, Raju Bharti Guest House has over the years turned into one of the prides and biggest attractions of the Tirthan Valley. 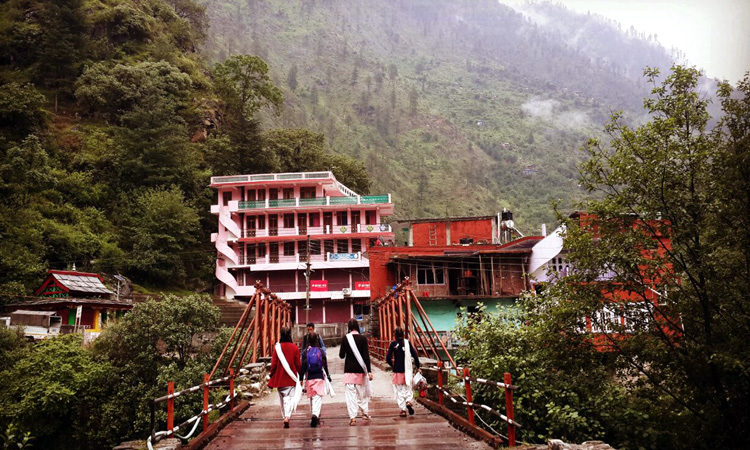 Located right next to the Tirthan River, the homestay run by Raju and Lata is a treat to the eyes and soul alke. If your idea of a perfect getaway revolves around a wooden cottage in the middle of deodars, a gushing river flowing by, and some delicious lip smacking food served all day in a picture perfect scenery, look no further. Go for long walks in the nearby woods, or just laze off besides the river. The simple, clean and comfortable home stay will spoil you with its rustic charm and elegance. 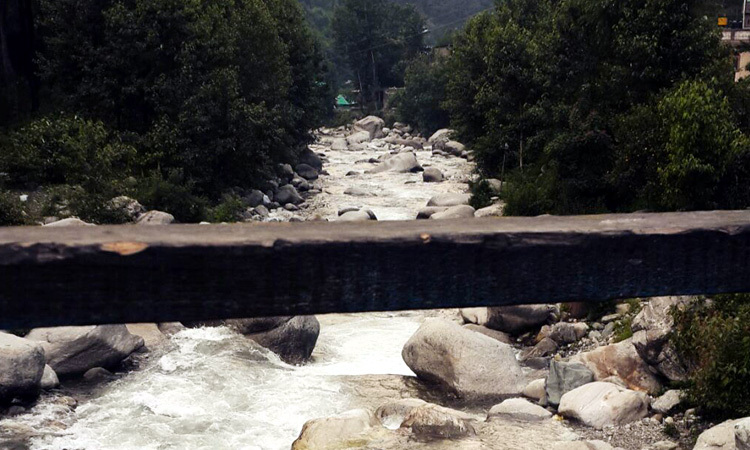 The Tirthan river is renowned for its Trout farming. So if you want, you will be served a fresh 'Catch of the day' everyday.